There is networking and then there is networking. The former is to get the business name out there and into the minds of the right people, the latter is to get the work done and the data connected. It is also often the one where people cobble together bits and pieces of technology to get things going at the start and then either end up spending limited funds on trying to fix the pieces or investing into something expensive that is entirely unnecessary. You need to start out with a simple, secure and scalable network infrastructure from the start. Everybody is on the hacker hit list. They don’t just target the monolithic enterprise anymore. In fact, according to the Cyber Security Breaches Survey 2017, 52% of small businesses had a cybersecurity breach in the past year. A new malware strain was discovered every 4.2 seconds in 2017 and only 14% of small businesses have formal cybersecurity incident management processes. 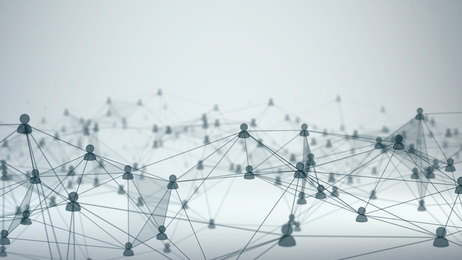 Connectivity is the lifeblood of any business and investing in tools that keep it flowing and keep the business working is investing in its growth. The challenge is to find the right tools. There are so many different flavours of product offering out there, all designed to improve the network or improve security, that it can be hard to find the one that will really deliver what your business needs. It really is the networking equivalent of self-diagnosis of a disease by Google. Most challenges experienced by small business owners stem from them just buying the first cost-effective solution the find online. Then they end up with issues like slow web access or poor networking, which then impact on employee productivity and, of course, morale (nobody likes waiting ten minutes for a page to load when they’re on deadline). To overcome these challenges, it’s a good idea to invest in a networking solution and find a partner who can work with you on monitoring it or ensuring that it is tailored to your businesses workload. A company that specialises in networking will be more likely to help you manage the network setup effectively, ensure you have proper protection against cyber-attacks, and optimise performance of your network so you don’t experience frustrating delays. It may seem like an expensive investment, but the long-term benefits far outweigh the initial costs. In terms of productivity and your ability to deliver solutions to customers, a seamless network will transform how you operate. In terms of security, well, a secure network could save you thousands of Rands in downtime, data loss and reputational damage.